But the growth of drayage trucking is creating a problem for ports, shippers, and transportation authorities. That is - heavy-duty vehicles emit heavy-duty emissions. And the CO2 emissions from road freight are expected to increase four-fold by 2050, reaching over 8,000 metric tonnes of CO2 annually. Kenworth T680 Day Cab Drayage Truck powered by Ballard FCveloCity(R)-HD module. Emissions from heavy-duty vehicles are a major contributor to global warming and to local air pollution in urban areas. As ports and other authorities are under pressure to reduce their carbon emissions, drayage trucking is an obvious target. Drayage trucks are large, visible polluters as they run repeated routes in port cities, typically through adjacent communities. There is a practical, proven solution: zero-emission hydrogen powered trucks—that is, electric trucks with hydrogen fuel cells. These trucks provide reliable, long-lasting electric power that can directly replace diesel trucks with no compromise in performance. Fuel cells for trucks? How do they work? Drayage trucks are Class 8 heavy duty trucks that do local and regional shipping runs, usually in and out of ports. Generally they haul intermodal shipping containers. Today’s drayage trucks are powered by diesel engines. Tomorrow’s may be powered by hydrogen. A fuel cell truck is a hybrid solution consisting of a hydrogen fuel cell and batteries – typically lithium-ion batteries. The fuel cells create electric power from compressed hydrogen and oxygen from ambient air. When the hydrogen molecules come into contact with a catalyst inside the fuel cell, a chemical reaction efficiently converts the energy stored in the hydrogen into an electric current, which charges the batteries. Power from the hydrogen fuel cell keeps the battery charged at all times. Pressure for GHG reduction policies is creating a growing market for zero-emission vehicles, including drayage trucks. The problem is real. There are hundreds of thousands of diesel-powered drayage trucks, emitting pollutants that are recognized as carcinogenic, and represent a major environmental concern. Globally, heavy duty trucks cause approximately 17% of nitrogen oxide (NOx) emissions, and nearly half of total transport-related PM2.5 emissions. (Particulate matter particles that have aerodynamic diameters less than or equal to 2.5 micrometers). Compared to other types of transport, heavy duty trucks contribute disproportionately to global emissions—and drayage trucks disproportionally affect port communities. Recognizing the problem, governments are taking action with new and forthcoming emissions regulations. Many governments plan to require industries to move toward zero-emission solutions. 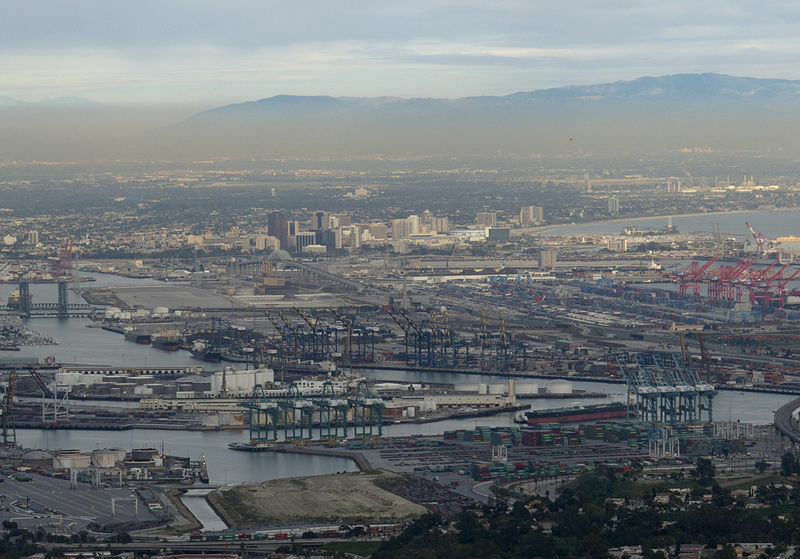 The San Pedro Bay Ports are leading the way. 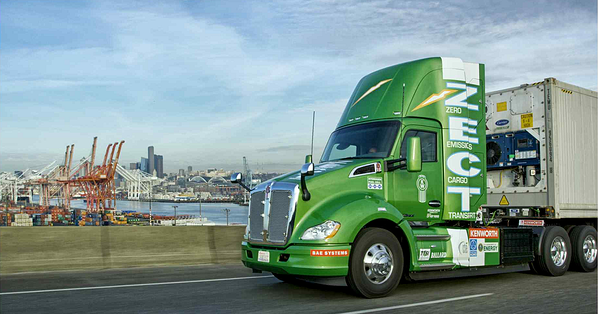 In 2017, leaders at Kenworth joined with Ballard, BAE, CTE and funded by the Office of Energy Efficiency and Renewable Energy (EERE), U.S. Department of Energy and the South Coast Air Quality Management District, to develop and demonstrate a heavy duty Class 8 fuel cell hybrid truck for drayage operation. Kenworth noted that there are improvements in fuel cell power density (power/volume) still to be achieved, and that significant gains will be made as different subsystems are integrated—which is expected as we move toward commercialization. In another demanding application, transit buses, Ballard’s heavy duty fuel cell modules have proven themselves in major cities from California to Europe to China. The buses operate in a variety of climates, altitudes, and usage cycles. Their range and flexibility can directly replace diesel and CNG buses on routes that are beyond the scope of battery buses. The fuel cell electric buses are demonstrating remarkable performance and durability, including operating over 12 million kilometers of transit bus revenue service in 12 countries. Many of these environments have challenging climates and long duty cycles. 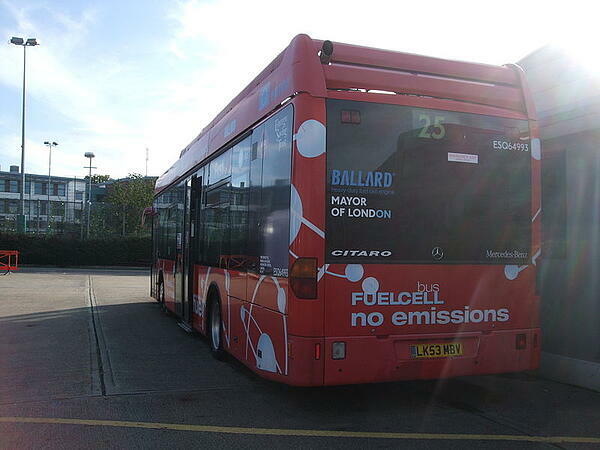 In London, England, buses powered with Ballard fuel cell modules have exceeded 27,000 hours of operation without replacing their fuel cell stacks. In the move toward zero-emissions heavy duty trucking, the market is focusing on two technologies: 100% battery-powered electric trucks and fuel-cell electric hybrid trucks. Range: fuel cell truck range is only limited by the amount of hydrogen fuel, making them the choice for longer hauls. Zero-emission vehicles are the way of the future. As ports, shippers and logistics companies face increasing pressure to reduce their carbon footprints, drayage trucking can respond with a viable zero-emissions solution. For the drayage trucking industry, where driving range and loads are critical, hydrogen fuel cell powered trucks have clear benefits and market potential. The technology is field proven in heavy-duty transport, and Ballard is a global leader with an ongoing commitment to R&D and steady improvement. The capabilities of the technology mean that drayage truck performance and operations won’t be compromised. The result is less harmful emissions, and an efficient, powerful port transportation system that continues to serve customers and businesses around the world. For more information on the benefits of fuel cell-battery hybrid architecture for drayage trucks, download our white paper below. Discover why fuel cell trucks are the most advanced zero-emission solution available to drayage truck fleet owners.